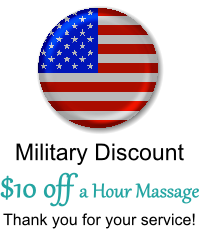 Soothing Sessions Massage Lexington SC-Providing Therapeutic massage for a healthier life. Soothing Sessions Massage is a passion not a luxury. At Soothing Sessions Massage our Certified Massage Therapists have extensive training in multiple massage techniques, anatomy, physiology, and the knowledge of when massage is or is not appropriate. We’re glad you found us because we provide so much more than just a massage; as one client says “massage is better than any drug”. We offer several options to help you achieve the results you need and deserve. Our most popular massage is the Integrative Massage combining different massage techniques; we also offer Massage Cupping, Deep Tissue Massage, Swedish Massage, Hot Stone Massage, Pregnancy Massage, Mommy Massage, and Couples Massage. In addition to massage we also offer, Body Contouring to help you work cellulite areas to improve skin tone, Foot Detox and a Heart & Sole Foot Rejuvenation. Since we opened our doors in 2000, our goal has been to help you towards a healthier and happier you. Contact Soothing Sessions Massage today, 803.808.2989, to make your appointment.